I picked the Tenryuji Shrine mostly for a great photo opportunity that I couldn’t pass up on a trip to Japan. Those were the bamboo groves in Arashiyama, located just outside Kyoto and right behind the infamous Tenryuji Shrine. An official World Heritage Site, the Tenryuji Shrine boasts a magnificent rock garden as well as some fabulously maintained Japanese gardens. I was hoping to beat the many tourists to go to the Tenryuji Shrine for the bamboo groves, but apparently 9am on a Saturday is considered fairly late. I’ve noticed in the past two to three days that the Japanese day begins as early as 4am in the morning. Now that I think about it, 9am must be pretty late in the day. However, the bamboo groves were worth it! As a photographer, it was incredibly frustrating not being able to obtain a people-less shot, but there were moments where I managed to get one or two shots with only a lone individual. It is magnificent to be able to just walk beneath these vast trees. It was almost like walking through the redwood forest in the Pacific Northwest. The bamboo grove itself is pretty short compared to the red torii gates of the Fushimi Inari Shrine. They do make for a fantastic picture though. I would definitely recommend this place when you visit Kyoto. 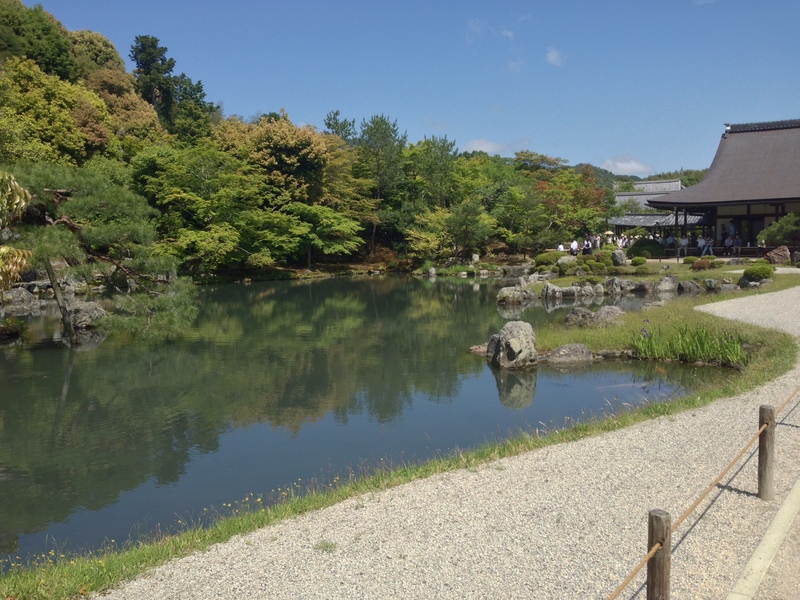 It’s only a short 30-minute train ride and can be accessed by both the railway and the local Kyoto subway. More information on the Tenryuji Shrine can be found here. Thanks again for stopping by, and I apologize for the delay in bloggery. Keep those wanderlusting feet moving! 08 Jun	This entry was published on June 8, 2014 at 08:58. It’s filed under Japan, The Traveller and tagged Arashiyama, bamboo groves, Japan, Kyoto, Tenryuji Shrine, travel, traveling. Bookmark the permalink. Follow any comments here with the RSS feed for this post.